Panama is one of Central America’s most party-focused cities. From bars and lounges to pubs and live music venues, the city is buzzing with people, culture, and activities. 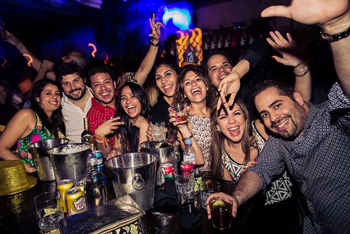 If you’re in Panama on vacation or business, be sure to experience the nightlife scene. Here you’ll find numerous venues that offer top-tier services like bottle or table service. At any respectable club, bottle service allows you to be treated like a VIP for a night. With bottle service, alcohol is brought directly to your table by good-looking waitresses. While your tab at the end of the night can be costly, the experience will likely be worth it. Whether you’re celebrating a bachelor party, bachelorette party, birthday, or simply need an evening out to have fun and unwind, Panama bottle service is the way to do it. Bottle service is available in most clubs on a nightly basis. While most clubs prefer that you make a reservation for your group, not all venues require it. However, spots can quickly fill up so if you want to ensure a spot, call ahead and reserve a table. While bottle service can greatly enhance your night, it’s not a necessity to get into a club. Bottle prices can range significantly depending on where you go in Panama. Depending on the location and the type of alcohol you want, bottle prices can range from $180 to $325 on average for bottles of liquor or champagne. If you want some higher-end alcohol such as premium bottles and champagnes, expect the price to be higher depending on size and brand. 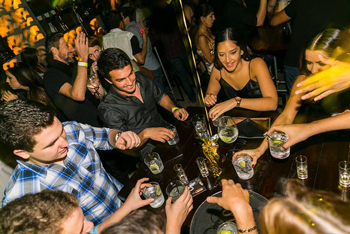 Most clubs in Panama have a table minimum with the average being one bottle of alcohol per four people at each table. Everyone in your group must be at least 21 years of age to drink. With bottle service you get more than just your chosen bottles of alcohol. You also get an exclusive table in a VIP section of a club where you and your group can sit, relax, and enjoy excellent service by an attentive waitress. Your hostess or waitress will be available to take your order and bring your alcohol directly to your table. You’ll also have access to mixers like water, juice and soda which is usually included in your table service price. If you want other mixers like Red Bull, there may be an additional cost. Each table has a minimum spend. This minimum can vary depending on where in the club you are. Better placed tables near all the action are typically more expensive than tables that are in the back of the club or outside on a patio. A minimum spend includes all money spent on alcohol, food, and extra mixers. However, the minimum that you are quoted at a club does not include tax or a tip. On average, you can expect to spend about 10 percent for tax and between 18 and 20 percent for a tip, for an extra splurge of about 30 percent. For example, a table with a $1k minimum will typically run you about $1.3k and a table with a $5k minimum will usually run you about $6.5k. 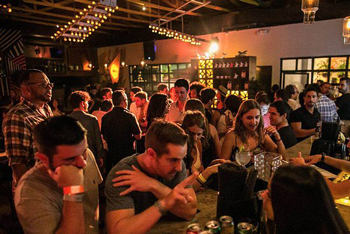 There are many great bars, clubs, and venues to choose from in Panama. Some of the top choices include Tantalo, Teatro Amador, Casa Jaguar, and Marrieta. Each of these nightclubs offers bottle service that provides patrons with major perks like expedited entry into the club and premium real estate. These benefits are a must-have for bachelor parties and similar types of celebrations. If you’re planning a trip to Panama, be sure to stop into one of the area’s most popular clubs and try bottle service for yourself.